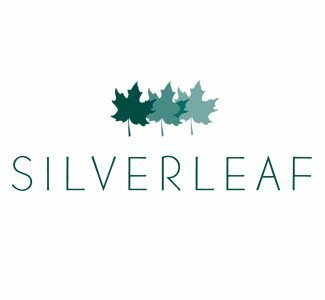 Come and enjoy life at Silverleaf, a new gated community in Parrish, FL located within Manatee County yet convenient to St Petersburg and Tampa. Surrounded by tall oaks and vibrant with amenities, the neighborhood offers a range of island-inspired single-family and twin villa home designs. Silverleaf is ideal for families, downsizers and homebuyers wanting a comfortable and stylish neighborhood. At Silverleaf, nature is all around, with immaculate landscaping and walk-able, tree lined streets. Residents can workout, relax and socialize at the clubhouse with fitness room, poolside kitchen and resort-style pool and spa. Silverleaf also includes basketball courts, two dog parks, children’s playground and picnic shelter with grill. Beautifully located, the community is situated near shopping, dining and entertainment destinations, and convenient to I-75 and the Sunshine Skyway Bridge. A Publix supermarket is located by the neighborhood and Ellenton Premiere Outlets is just down the road. Downtown Tampa and St. Petersburg are easily accessible and Bradenton and Lakewood Ranch are a short drive away. Residents also enjoy convenient access to beaches including Anna Maria Island, Lido Beach and Longboat Key. Visit Silverleaf by Neal Communities today. For more information and to schedule an appointment please call: 888-720-4429. From I-75: Take Exit 224 to US-301 towards Ellenton and head East. Silverleaf is located 4 miles east of I-75 and will be on the right.